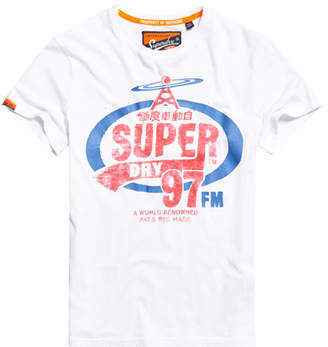 Superdry men's Heritage Classic lite t-shirt. This lightweight t-shirt features a classic crew neck, cracked effect logo graphic on the chest and is finished with a logo tab on one sleeve. Crafted from a super soft cotton blend, this is a great option to have in your everyday wardrobe, style with anything from jeans to joggers.